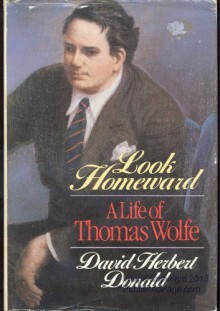 Thomas Wolfe, one of the giants of twentieth-century American fiction, is also one of the most misunderstood of our major novelists. A man massive in his size, his passions, and his gifts, Wolfe has long been considered something of an unconscious genius, whose undisciplined flow of prose was shaped into novels by his editor, the celebrated Maxwell Perkins. In this definitive and compelling biography, Pulitzer Prize–winning historian David Herbert Donald dismantles that myth and demonstrates that Wolfe was a boldly aware experimental artist who, like James Joyce, William Faulkner, and John Dos Passos, deliberately pushed at the boundaries of the modern novel. Donald takes a new measure of this complex, tormented man as he reveals Wolfe's difficult childhood, when he was buffeted between an alcoholic father and a resentful mother; his "magical" years at the University of North Carolina, where his writing talent first flourished; his rise to literary fame after repeated rejection; and the full story of Wolfe's passionate affair with Aline Bernstein, including their intimate letters.